The report "Asia-Pacific Submersible Pump Market by Type (Borewell & Openwell), by Industry (Chemical, Construction, Energy and Power, Water and Sewage, and Others), by Application (Industrial, Agriculture, and Domestic), and by Country - Trends and Forecasts to 2014 - 2019” defines and segments the submersible pumps market in Asia-Pacific with analysis and forecast of volume as well as value. It also identifies the driving forces and restraining factors for the market, highlighting the latest trends and identifying opportunities. In 2013, China was the single-largest market for submersible pumps in the entire Asia-Pacific region and accounted for a market share of 29.1%. Rising urban population and the consequent demand for water & sewage treatment are the key drivers of the submersible pumps market in Asia-Pacific. 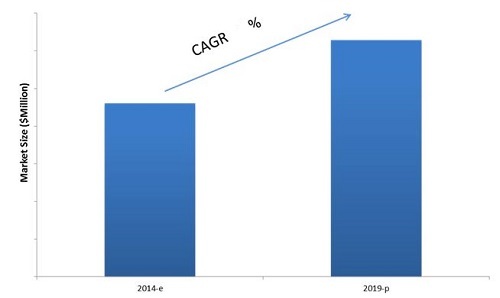 The APAC submersible pumps market is projected to grow at a CAGR of 6.4% from 2014 to 2019, to be valued at $18.9 billion., with increasing demand in major economies such as China, India, and Indonesia. Increasing industrialization is helping in the growth of the demand for submersible pumps in the region. The submersible pumps market is primarily driven by increasing urbanization, deepwater exploration activities, and decline in the fresh water resources among others. Submersible pumps have become a pivotal part of the crude production process, contributing to the increasing efficiency of crude oil production. The drivers of the submersible pumps market include increasing deep and ultra-deep offshore drilling activities and the rise in the number of maturing oilfields.